and be ghoulish, scary and unnice in an undead way. The 10 Universal Laws of Zombie, sort of. 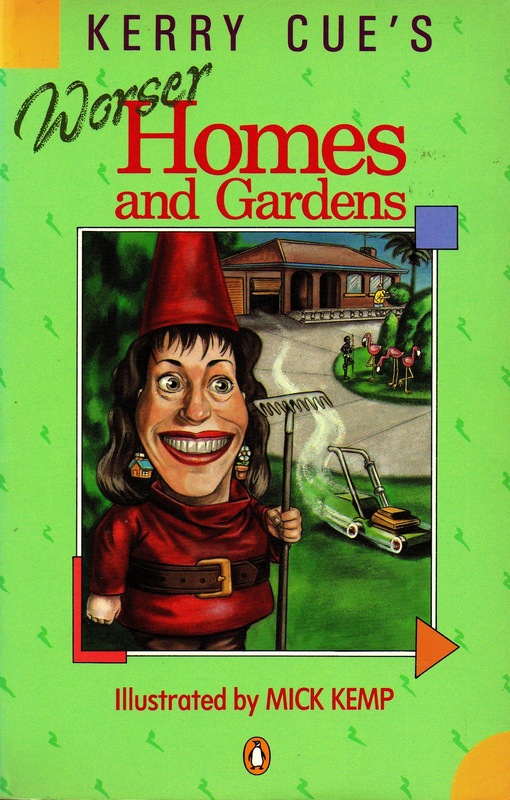 This is fun. To find the velocity of a Zombie mark out 10m on the floor. Ask students to imitate a Zombie and time them. This will involve deep and meaningful Zombie arguments about who is the best Zombie. A Zombie Arm can move much faster. 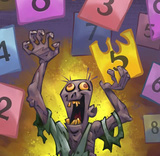 Here are some calculations based on a guestimate using this link of Crawling Zombie. 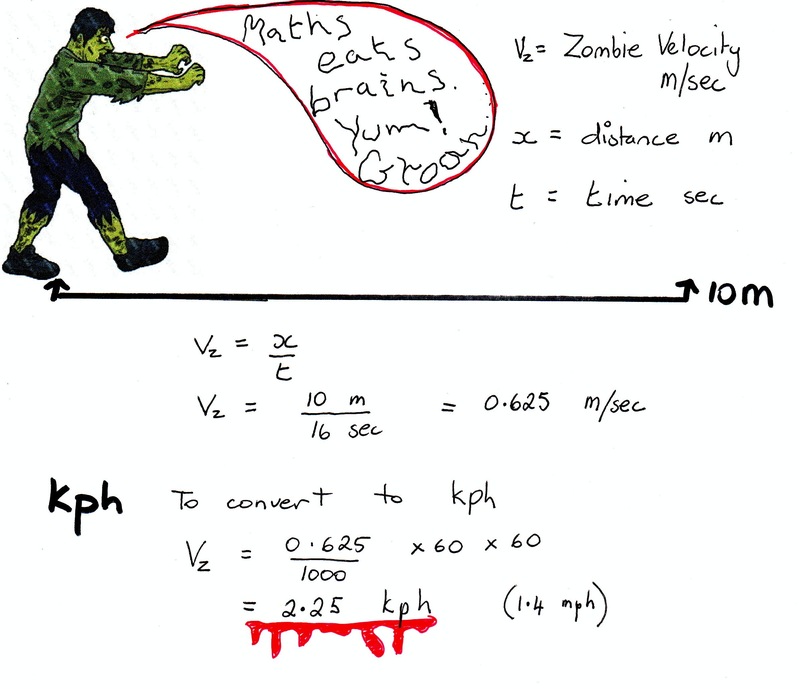 According to these calculations Zombie Arm is Faster than a speeding chicken, but not as fast as an angry Squirrel. See Animal Olympics link.